The Limited Edition is an exclusive offering of just three new semi-custom homes under construction in Santaluz. The Limited Edition is a joint project of Baywood Development and Watt Communities of Santa Monica, homebuilders since 1947. From $2 million, the Limited Edition's two floorplans are hacienda style single story homes that range in size from approximately 4,000 to 6,000 square feet and, subject to availability, are offered in either Adobe Ranch or Tuscan Farmhouse architecture. The homes have been carefully oriented on the spacious and unique circular lots to take maximum advantage of the expansive Santaluz views. 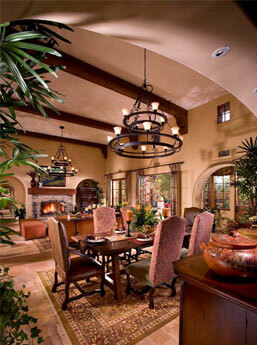 The Baywood Collection Limited Edition's homes are located in the 4,000-acre Santaluz master plan community adjacent to Rancho Santa Fe and Fairbanks Ranch in San Diego County. Inside this expansive gated community, just six miles from the coast, you can enjoy a private golf club, 11-acre village green, 26 miles of hiking and biking trails and much more. We have just three exclusive homes for sale. Please call today and schedule an appointment. To reach Santaluz from the 5 Freeway, take the Via del La Valle exit and drive east to Camino Real. Turn right on Camino Real. 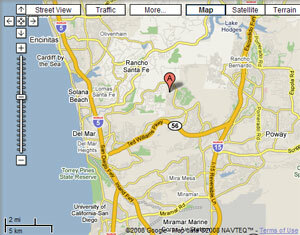 Turn left at San Dieguito Road and proceed through Fairbanks Ranch to Rock View Court on your left. The first two homes on the right are from our Limited Edition. We do not have an onsite sales office, please Call us at 858-759-2496 with any questions or to schedule an appointment. We look forward to seeing you and showing you our beautiful homes.